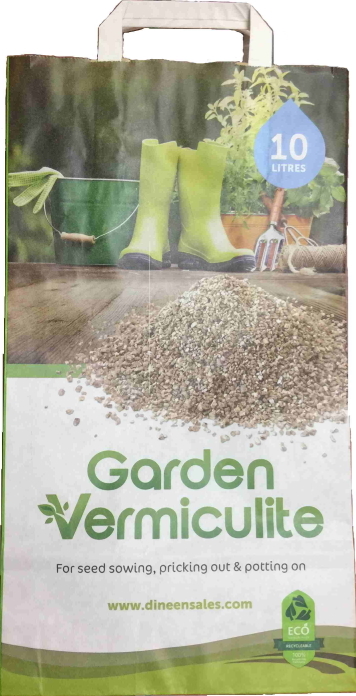 Vermiculite is a naturally occurring, non-toxic Magnesium Alumino Silicate mineral, which also contains Potassium, Magnesium, Calcium, Manganese and Iron as natural horticultural nutrients. When heated at a controlled rate, it expands to give a sterile expanded structure. Capable of absorbing large quantities of nutrient bearing water for controlled release to plant roots, with additional nutrients added when required. An excellent insulator, it reduces the fluctuations of temperature when used as a seed covering.